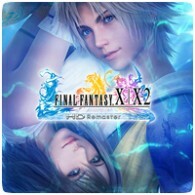 Square Enix have released a new trailer showcasing Final Fantasy X and X-2 HD for the PS4. The new trailer shows a mixture of gameplay and FMV sequences from the game, which has been remastered for the PS4. The game is scheduled for release on May 15th 2015, but pre-ordering the game now in PAL territories will get you the steelbook edition shown at the end of the trailer.